India will return to Kiwiland for a five-match ODI rubber starting January 23 in Napier, to be followed by best-of-three T20 Internationals (T20Is). Mitchell Santner believes the upcoming limited overs series in his home country against India could be a high-scoring affair due to the nature of grounds and wickets. New Zealand’s left-arm spinner Mitchell Santner believes the upcoming limited overs series in his home country againstindiacould be a high-scoring affair due to the nature of grounds and wickets and hopes to be a part of it. to be followed by best-of-three T20 Internationals (T20Is). “Both teams have changed a lot since then (the 2014 tour). India have performed in England and against (Australia) in conditions similar to New Zealand. It’s (depends on) how quickly they (India) can adapt to those conditions. “If they can hit the ground running on those home conditions for us, it’s going to make for a very interesting series. It can be a high-scoring series with the nature of grounds and wickets (on offer),” Santner said here on Monday. Santner, along with compatriot Corey Anderson, spoke to reporters during a special interaction organised by Star Sports, the official broadcasters of the limited over series. and other Indian batsmen are scoring a lot of runs at the moment and they haven’t been to New Zealand for four years. But they have played all round the country and scored runs everywhere. “So they will probably like our conditions, where its quite flat, with not a lot of turn. it (series) can be high-scoring. So the batsmen will like it and hopefully the ball swings for us,” added the 26-year-old spinner. which starts in England at the end of May. “The series will be a good test for both the sides leading into the World Cup and I guess in similar conditions. 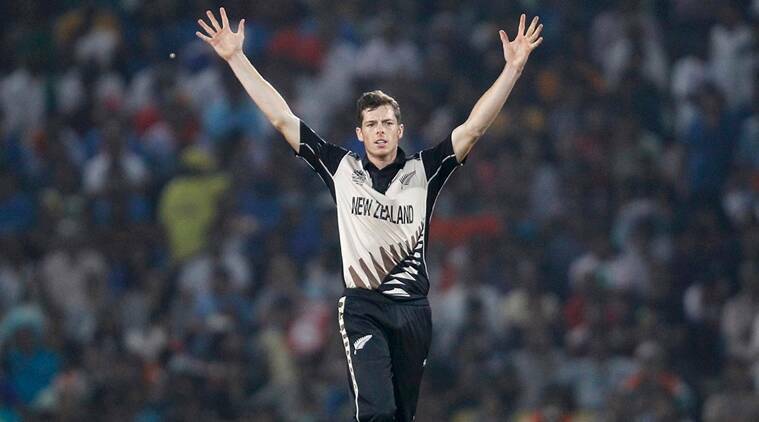 On a personal note, Santner, who is recovering from a knee injury, hopes to return to action during the India series. “Been out for a while, its been nine months. So have been back training and cricket is not too far away. with wrist spinners Kuldeep Yadav and Yuzvendra Chahar in operation, will be to get wickets in the middle overs. “With the nature of flat wickets, the wrist spinners can spin the ball both ways. The key in ODI cricket is to get wickets in the middle (overs). he said All-rounder Anderson, on his part, said he would like to be in New Zealand’s 2019 World Cup team. “If I stay fit, I would love to be involved in that team (of the World Cup). I have the experience of being (in the team) for the last World Cup. “If I am playing my best cricket, I can do a very good job for New Zealand and help balance out the side,” Anderson reckoned.